You can help us to progress your application quickly by ensuring that all the correct information is included when you submit it. Most applications require common elements in order to be validated and subsequently assessed. However, whilst the following advice covers the majority of information necessary for most applications, more complex applications and those located in areas of constraint (such as Conservation Areas) may require more. You are therefore advised to check the Planning Application Validation Requirements Document in addition to the guidance below. This is required for most applications, whether it be for a new development, a change of use, or to discharge conditions on an approval, and the relevant form can be found here. Retention of stable block and hay store; erection of additional stable block; and change of use of land to equestrian use. Where required, an ownership certificate must be completed stating the current ownership of the land to which the application relates. Examples of plans and drawings can be viewed to assist with your submission. All plans must be drawn in metric units, and carry the appropriate scale (1:50, 1:100, etc) and paper size (A0, A1, A2, A3 or A4). All plans and drawing must be submitted in a PDF format and be to scale. The Planning Portal's Best Practice Guide may also be useful because it contains advice about the types of plans required and how to mark them correctly. You can use the Planning Portal's 'Buy a Plan' service to ensure that you meet the requirements for Site Location and Block Plans, whether you are a planning professional or first-time applicant. Plans can be downloaded for use in online submissions, or printed to accompany applications submitted by post or by hand. There are also a number of local distributors of OS mapping which may assist you in making your application. Some are also able to provide aerial photography. You can check the Development Management Order 2015 (external link) to see where one is required, or by using the Planning Portal. It should explain the design thinking behind a planning application, evaluate existing design in the area, and then look at how the proposal has evolved and fits in with this context. It should also demonstrate (where relevant) that the applicant has thought carefully about how everyone, including disabled people, older people and very young children, will be able to use the development proposed. 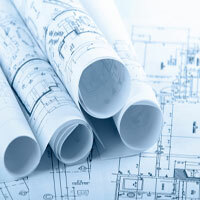 Statements should include a written description and justification of the planning application. Sometimes photos, maps and drawings may be needed to further illustrate the points made. It is important that they are written specifically for the application they accompany. They need not be very long, but the amount of detail they contain should reflect how complex the application is. So, a statement for a major development is likely to be much longer than one for a single building. Guidance on writing a Design and Access Statement can be viewed. This is required for most applications, whether it be for a new development, or to discharge conditions on an approval. Some development types are based on floor area, others are set values. Check the Scale of Charges for planning applications or use the applications fee calculator. The Fees are based on the Fee Regulations of 2012. You can pay the planning application fee with a credit or debit card by calling 01827 715341. Please note that the Council has a small surcharge payable for the use of a credit card.